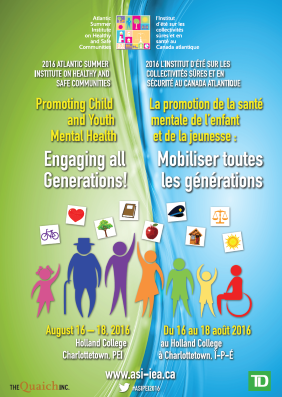 Join us this summer for an Atlantic Canadian event which will bring together individuals from across the region with an interest in child and youth mental health. Citizens and community leaders in Atlantic Canada are ready to take action and make child and youth mental health a priority! 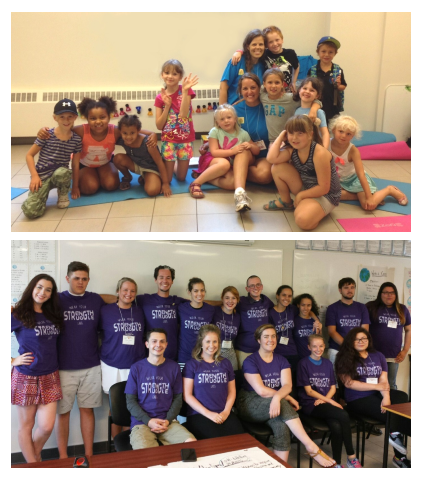 Our 2016 program will build upon the work undertaken at last year’s Symposium on Child and Youth Mental Health with a longer, 3-day program that is cross-generational and multi-sectoral. We will encourage regional collaboration between policy makers, practitioners, educators, researchers, parents/caregivers, youth, community members and supporters. We aim to collectively gain in-depth insight into youth mental health issues in our region and to collaboratively construct strategies to promote positive mental health in schools and communities. Once again, the Institute will engage and develop youth leadership capacity and also deliver a Children’s Program. 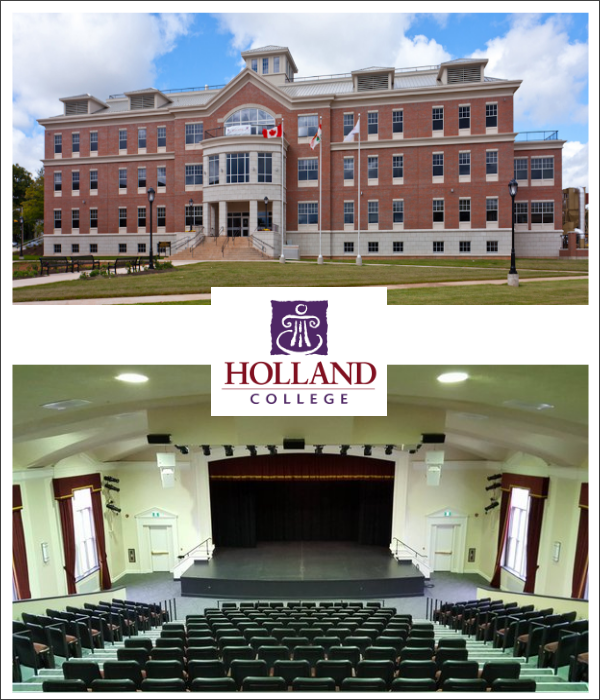 ASI 2016 will be held throughout Holland College, including in the new Florence Simmons Performance Hall. Registration is now open for this 3-day program. If you are a researcher, policy maker, advocate working in multiple sectors (such as education, health, justice, child and family, or community services, non-profit and private sectors), a parent, caregiver, youth or a member of the general public who is a promoter of positive mental health, this event is designed for you! Our Early Bird rate of $375 allows you to save $75 off the full registration price! Registration includes welcome reception, lunches, all Institute materials, and a certificate of participation. Registration by June 30 is $375. After June 30, registration is $450.